1 edition of Amphitryon, or, The two Socia's found in the catalog. Add another edition? Are you sure you want to remove Amphitryon, or, The two Socia's from your list? 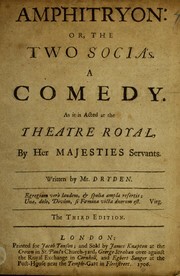 Published 1706 by Printed for Jacob Tonson in London, and sold by James Knapton ..., George Strahan ..., and Egbert Sanger . Based on the Amphitruo of Plautus, as adapted by Molie re Cf. Macdonald, Hugh. 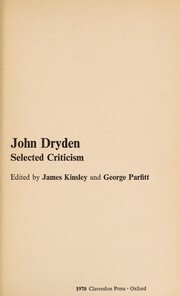 John Dryden; a bibliography. 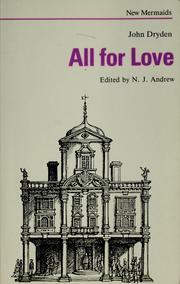 Oxford, 1939, p. 132. Boston Public Library (Rare Books Department) copy is the fourth of five items bound together in a volume titled "Dramas." 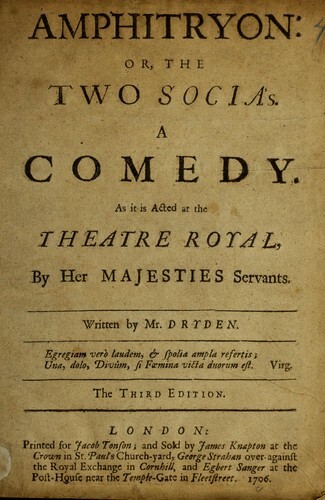 This volume contains : As you find it, a comedy as it is acted at the New-Theatre, in Little-Lincoln's-Inn-Fields by Her Majesty's servants -- : Vittoria Corombona, or, The white devil, a tragedy / by J. Webster -- : The changeling, as it was acted (with great applause) at the Privat house in Drury-Lane and Salisbury Court / written by Thomas Midleton and William Rowley -- : Amphitryon, or, The two Socia's, a comedy as it is acted at the Theatre Royal ... / by Mr. Dryden -- : Revenge for honour, a tragedy / by George Chapman. August 20, 2014 Created by ImportBot Initial record created, from Internet Archive item record.